With another NFL season just around the corner, analysts and football fans are discussing the type of numbers their favorite players will put up this year. But, over here at Sneaker Report, we like to focus on what they&apos;ve got on their feet. 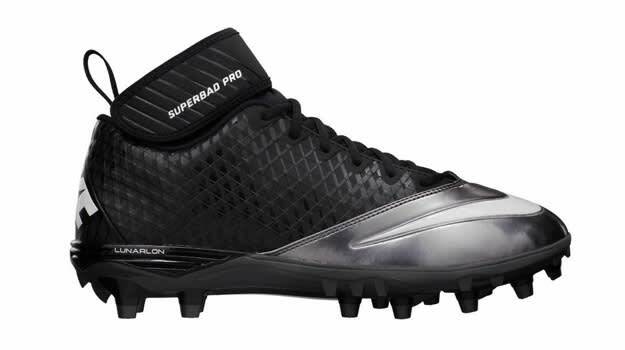 With the league in the second year of their apparel partnership with Nike, many guys have gone with the Swoosh as their cleat of choice, however, some have branched out with other brands, like Under Armour and Jordan. 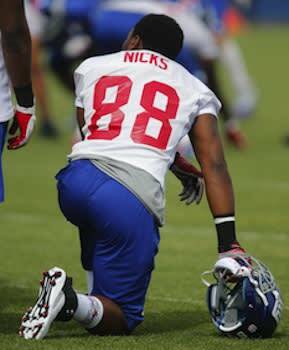 We have rounded up all of the players&apos; favored picks in The Most Popular Cleats of the 2013 NFL Pre-Season. 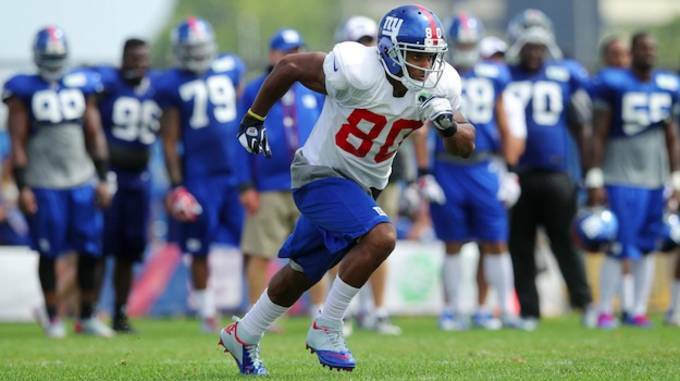 Usually, it&apos;s better to feel as though you aren&apos;t wearing a cleat at all. 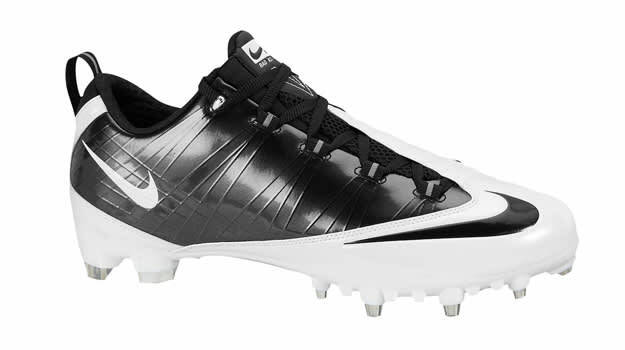 That&apos;s where the Nike Vapor Carbon Fly 2 TD comes in. With it&apos;s tight yet comfortable fit, guys like Braylon Edwards, Percy Harvin and plenty of others can attest to that sentiment. 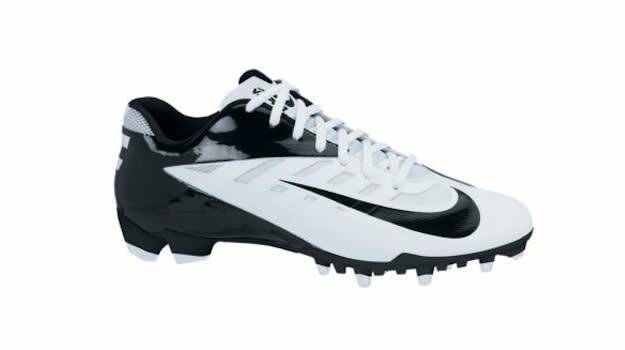 Plus, putting all the details to the side, the cleat is probably the nicest one you&apos;ll see on the field this season with its sleek, clean look. For the football players who also happen to be fans of the Jordan brand, the Air Jordan XII PE cleats are a welcome sight. After they made the rounds in the MLB on the feet of such players as David Price and CC Sabathia, it&apos;s good to see them now on the gridiron as well. It should come as no surprise that skill position players like MJD and Tavon Austin are flocking to the Nike Vapor Talon Elite. 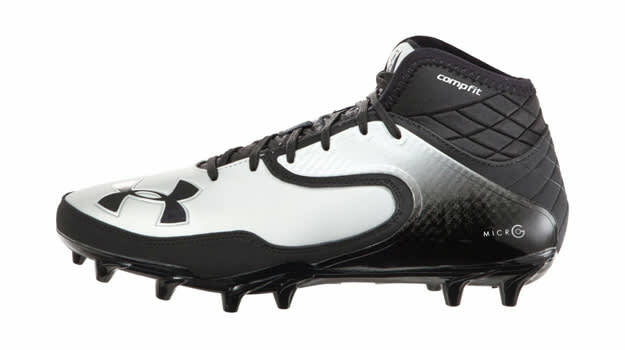 With the Carbon Fiber Midfoot Shank, this cleat gives the wearer a fit that makes them the appropriate comfortable and stablity needed to utilize their speed and agility on the gridiron. Much like the other shoes in the ZigTech family, these cleats offer similar stability and cushioning that you&apos;ve come to expect. 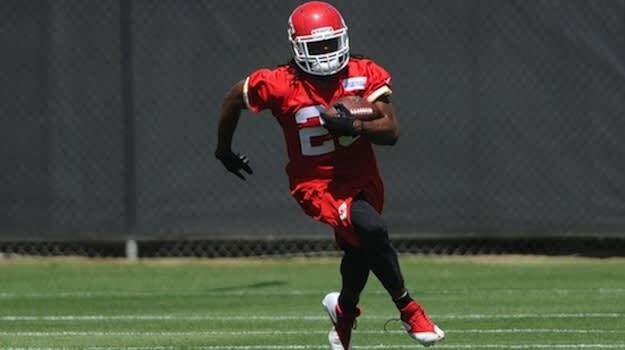 For players like Jamaal Charles and Peyton Manning, these features will come in handy as they prepare for a long season, leading their respective teams to the playoffs and beyond. 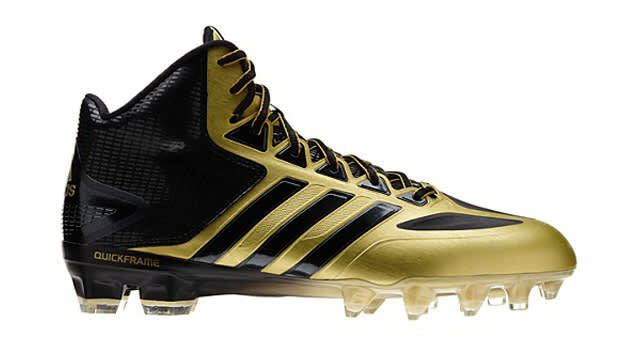 Through its outsole which features circular and triangular studs, the adidas Crazyquick Football Cleat offers players like Von Miller the necessary footwear to make fluid lateral movements. His ability to break smoothly past an offensive lineman has played an important role in recording an astounding 30 sacks in his first two seasons in the NFL. When you&apos;re one of the best possession receivers in the game today, like Larry Fitzgerald, it&apos;s vital that your routes are clean and precise. With the Nike Alpha Pro, Fitzgerald is able to do just that because of the shoe&apos;s Pebax plate which gives solid traction at the forefoot. Meanwhile, the cleat&apos;s Flywire technology provides the necessary stability that is needed when making fast cuts. As he prepares for his eighth year with the Cowboys, Miles Austin hopes that he won&apos;t be slowed down by another leg injury this season. Thanks to the Under Armour Pro Low TD with its foot-forming 4D Foam which offers the foot a snug and comfortable fit and the cleat plate that gives the wearer a better grip when making cuts on routes, Austin may find himself in the endzone more and less on the sidelines. 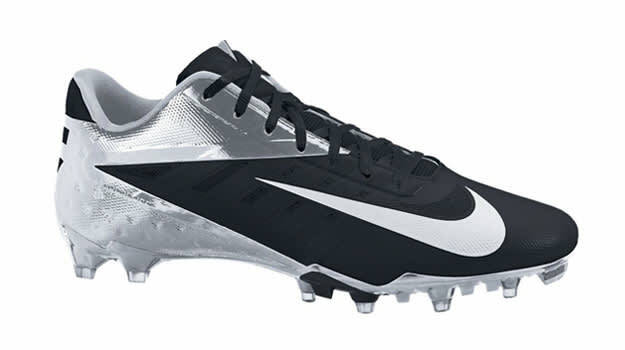 The Nike Vapor Pro Low TD was designed to be as light as possible. So, it should come as no surprise to see plenty of NFL players, including Devin Hester and Colin Kaepernick, who place an emphasis on their quickness wearing the cleats. 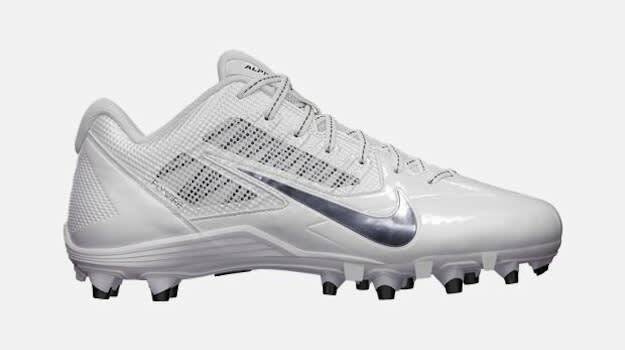 After posting career highs last season in every offensive category (receptions, receiving yards, touchdowns), Dez Bryant will need a cleat that&apos;s durable yet lightweight and breathable to try and top last year&apos;s numbers. 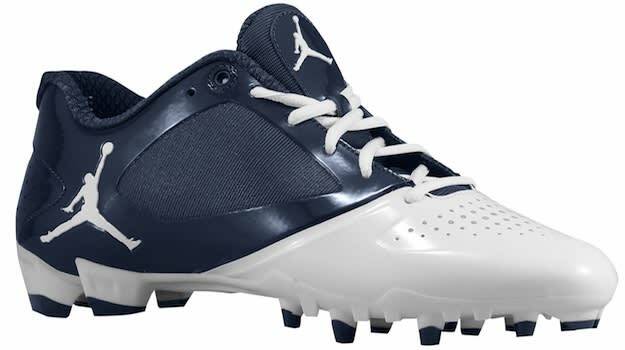 Bryant gets all that and more with the Jordan Speed Jet TD. While the patent leather upper provides a sleek, clean look, the shoe features key touches, like a top-notch collar lining for comfort and a grass/nylon shank which focuses on providing additional stability. Worn by dual threat quarterbacks like the Eagles&apos; Michael Vick and Seahawks&apos; Russell Wilson, the Nike Lunar Super Bad Pro TD offers a set of secondary teeth which comes in handy for those players who heavily rely upon on their ability to effectively cut on a dime without worrying about injuring their ankles in the process.